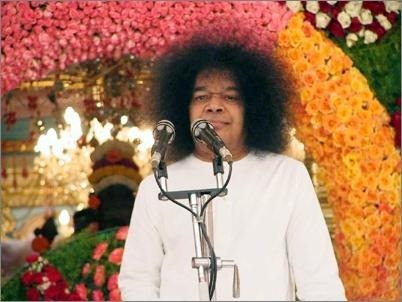 GKS Holland and the editors of this site wish to express on this special day, Bhagawan Baba’s birthday their gratitude to Sri Sathya Sai Baba for all the blessings He showered on them. Men cannot comprehend the Formless and the Attributeless Absolute. Avatars (Divine Incarnations) appear in human form to enable humanity to experience the Formless in a form which is accessible to them and helpful to them. An Avatar assumes the form that is beneficial to and within the reach of human beings. An effort must be made to understand the nature of divinity. It is only when God comes in human form that human beings can have the full opportunity to experience and enjoy the Divine.